Uzbekistan is a place of ancient tourism. It is a country with ancient cities and terrifying tales to tell of its conquerors and emperors who have ravaged the country and laid bare its resources. It is a country that has a rich historical heritage which is evident from the architectural monuments which you will see in any city that you visit. You will also have ample chances of adventure tourism in this country. With an infrastructure that is still in a state of development and a democracy that is yet to find a firm footing, the country has a lot of adventures to offer to tourists. If you are not interested in historical artifacts alone, you can have ample opportunities to explore the wilderness through trekking as well as jeep safari. You can even opt for alpine skiing activities as well as fishing and camping. Today the tourism of the country is trying to woo tourists to enjoy not only the rich history and culture of the place but also explore its deep religious roots as well as ethnic traditions, ecotourism and sport related activities. 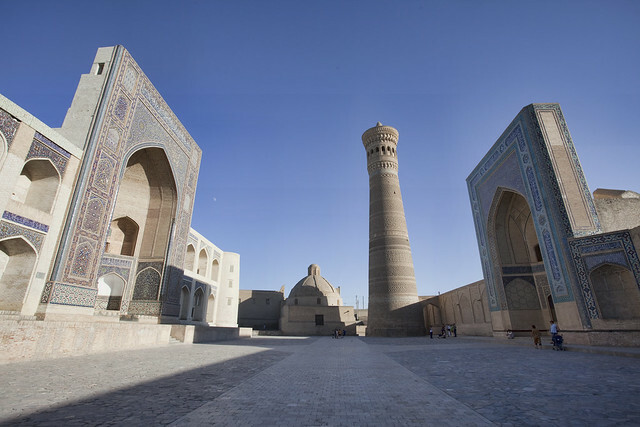 The Famous Ancient Cities Here Are The Samarkand, Khiva And Bukhara. They were formed at the same time as Babylon and the Roman Empire. These cities still have traces of the conquests made by Alexander the Great as well as Tamerlane, Timur and Genghis Khan. For the ancient civilizations these cities were cultural centers. The splendors of the palaces that the rulers built as well as minarets and Muslims have not shrunk through the passage of time but they hold onto their amazing facades even against the war of the times. The cities of this country were located along the Silk Road and were treated as a trading and cultural centers. Samarkhand was considered the link between the East and the west and it was known as the Pearl of the East. If you are interested in tracing the ethnicity of the races here you will find people of centuries old culture living here. Their customs and traditions are interesting and they have numerous rites and rituals which have been kept alive by their communities here even today. There is a lot of development that is going on, especially in the modern capital city of Tashkent. 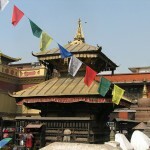 You will find a diverse geographical terrain here. Though most of the desert climate, there are mountains and rivers to be found as well for exploring outdoor activities. The areas Chimgan and Beldersay are popular ski areas. One can even try out Heli skiing or Heli boarding and snow boarding. The deserts have their own charm with camel rides and exciting camp stays in natural desert habitats. The mountain areas have lots of resorts and rest houses. There are a lot of options for health tourism here. Travelers can even find activities like fishing or horseback riding and even take trips across the sandy beaches to visit the Charvak reservoir. 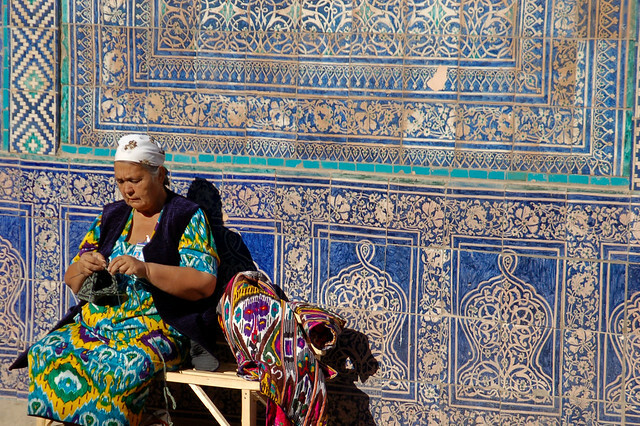 In such ways there are numerous things to see and do in Uzbekistan.